I am proud to announce the imminent release of a new product, Improving your Brain Power, which will consist of an Ebook and Interactive Mind Map Tutor package. You can read more about improving your brain power below. As a reader of our newsletter, you will be the first to be informed when it has been released. Free OpenSource Mind Map Software (Xmind) has served us well and is still our preferred software, but as mentioned before, iPad Mind Map Software is becoming a big contender, as you always have your iPad (Or any other tablet you prefer) with you. So don't delay. Download Xmind today and start Mind Mapping! You could also download the basic edition of iMindMap, which is also free. iMindMap is the official Mind Map Software endorsed by Tony Buzan, the inventor of Mind Mapping, and creates beautiful, organic, colourful Mind Maps. You could then explore his Mind Map Principles more easily and decide for yourself what you would like to use. Hamlet is Shakespeare's longest, and one of his most complex, plays. It is also his most popular one. Based on our success with Othello, we have decided to continue with the Shakespeare legacy. Learn Hamlet in an interactive, intuitive way and add your own notes and thoughts directly in the Mind Maps. So, if you are a student, or teacher, of Hamlet, get hold of our Mind Map Tutor now and explore Hamlet like never before. Most successful people know that it is the process that makes them successful. Whether you are a golfer, tennis player, business person or learner, a good process separates the amateur from the professional. So 'Go Pro' with your learning by applying a good learning process. Having a good knowledge of English Grammar is essential for all learners, if your learning medium is English. If English is not your mother-tongue, then this is also a great guide for you. The Interactive Mind Maps allow you to add your own examples and thoughts, making you the centre of the learning process, which is the best way to learn. If you are a subject matter expert and think you have the ability to produce a set of Mind Maps on your subject, we can sell it and market it for you using our Associate Author Program. By sharing your knowledge, you can grow personally, help others, and even create a permanent passive income stream. Take advantage of our growth and expertise in the Mind Mapping Marketplace. We are one of the top ranking Mind Map Websites on the Internet. You can take advantage of this and earn a solid passive income. You create the Mind Maps according to our strict criteria. We market and sell it. You earn immediate passive income. This offer is not for everybody though. You must be willing to produce a good quality Mind Map Tutor on your subject. Each request is personally vetted and only those that meet our strict criteria will be able to take advantage of our Marketing and Sales Engine. Watch out for our new launch coming soon! Our Blog, www.mindmaptutor.com, keeps you updated with what's happening so that you can learn faster and easier with regular updates. You can follow our blog by subscribing via RSS Feed, Email, Facebook, or Twitter to get regular updates. Most of the topics are also highlighted on our Facebook Page, where you can comment instantly and get great feedback from us and others. You can now also comment on our blog using Facebook comments. 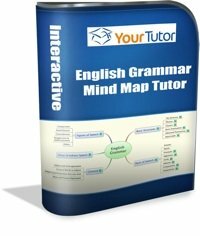 Use Mind Maps to Learn English Grammar Reminds me of why I created a Mind Map Tutor for English Grammar and also shows other applications of Mind Maps when learning a language. Idea Connection and Mind Maps Mind Maps have the power to connect ideas, which is a very powerful, but overlooked feature. Do you learn with Mind Maps While many know about Mind Maps, read about Mind Maps, and even speak about Mind Maps, I see so many not using them to learn. Do you? Do you only use Key Words in your Mind Maps? With the emphasis on 'only'. Many break this rule of Tony Buzan, the inventor of Mind Maps. What do you do? www.mindmaptutor.com Visit our Blog now for more inspiring articles on using Mind Maps. Visit Using Mind Maps on Facebook and become a part of our Social Network by simply 'liking' our page. Facebook is great for updates, as it is unobtrusive and you can give immediate feedback. Please promote our Facebook Page to you friends and family. 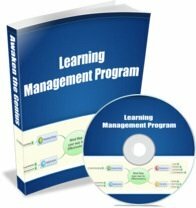 It is a great way for them to stay updated with the latest information on everything you need to know about creating and using Mind Maps to learn faster and easier. All updates to our site, as well as our blog, are posted to our Facebook Page, so you will always be informed of what's happening. Make learning and using Mind Maps a part of your Social Experience. In this way learning and growth becomes a natural part of you life and stops being a laborious effort. As information on Facebook is fed in bite size chunks and you only read what catches your eye, you are in complete control of the situation. You can follow me via my Twitter account. I am very active in the online Mind Mapping community, you will get updates and links to important information as I come across it. Twitter is the fastest way to get information into the market. If you haven't tried Twitter yet, give it a go. The great thing about Twitter is that you only have to read what you want to, as it just gives you the headlines. The information also comes to you, so you are only receiving information that you want to receive. If you don't like the source - kill it, and it's instantly removed. Twitter can be a great time saver to give you the information when you want it and how you want it. We publish all of our Blog feeds to Twitter so that you can simply browse the headlines and only visit the page if you like what you see. Your brain is your most valuable asset. How well are you nurturing and growing it? There are lots of expensive and complex programs and theories that promise the world, but come short on delivery. Yet there some simple techniques and principles that could change the way your brain works. We have put together a simple guide to helping you improve your Brain Power. There are simple brain exercises, for example, that could increase the capacity of your brain to remember, problem solve, or come up with creative solutions. Positive thinking techniques can also make the brain more productive and efficient. As you know, being on this mailing list, Mind Maps are the secret to creativity, problem solving and radiant thinking. By implementing just one Brain Power technique, you could radically change the way you think, which could in turn make a radical change to your life. But, you don't necessarily have to do anything radical. You could simply apply one or more of the techniques regularly over time and get onto the path of accelerated growth and development. There is no 'fix-it-quick' solution, but there are definitely techniques and principles that are easy to apply, yet bring great results. Our website page, Improving Your Brain Power, will be updated as soon as the product is launched. You will also be informed via email. Keep a look out for free information on our Website, our Blog , Facebook and Twitter. Be the first to get updated information as it arrives. We would also love to hear from you, so let us know how your Mind Map efforts are going. You can contact us via our Contact Page, or you can even write your own story and be published on our website. You can also comment on any of our blog posts using Facebook comments. The choice is yours.